Spay Memphis is a non-profit clinic dedicated to reducing pet overpopulation by providing high-quality, affordable spay/neuter services to the public. Please do NOT make feral cat appointments online as they do not need an appointment. Feral cats may be brought in Tuesday – Thursday between 7:30-8:30 am. They must be in a live, humane trap. Please review our feral cat policies here. To schedule your pet’s appointment by phone, please call 901-324-3202 during our regular business hours: Tuesday – Friday, 7:30 am – 5:00 pm. Full payment of services is due at your pet’s appointment. Spay Memphis accepts cash and credit/debit cards for payment. **Please review our feral cat policies under the Feral Cat section. For domestic cats and dogs 5 years and older, Pre-Op Bloodwork ($25) is required. Grants or other discounts may be available to offset these costs. Click here to learn more. An additional complicated surgery fee may be incurred if your pet needs hernia repair or other major complications unrelated to spay/neuter. All grant/ donor funding is available on a first-come-first-serve basis. Availability of grants/donor funding may change at any time. No grant/donor funding is guaranteed until the appointment is confirmed. Must mention grant when making the appointment. Grant funding cannot be used for feral cats, rabbits, or pigs unless otherwise specified. Grant funds cannot be combined – only one grant fund can be used per pet. The Pit Fix – Have your pitbull/pitbull mix spayed or neutered for only $40, thanks to a generous grant from the Margarette J. Sather Animal Welfare Fund and a private donor. An appointment is required. 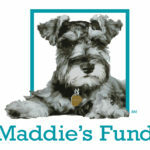 Funding is limited to 3 dogs per pet owner. Thanks to a generous grant from PetSmart Charities, pet owners who receive government assistance can have their pet’s spay/neuter discounted ($40 for dogs and $20 for cats). Appointments are required. Can only be applied to new appointments. Proof of government assistance is required on appointment date. View the press release for this partnership here. 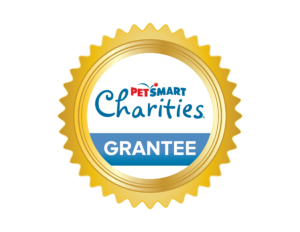 Spay Memphis is proud to be a PetSmart Charities grantee! *Additional funding may be available; ask for more details when calling. Check-in is between 7:30 a.m. and 8:30 a.m. Pets arriving past 8:30 a.m. are subject to a $20 late fee. Payment for services is due on the day of your pet’s appointment. Spay Memphis accepts cash and debit/credit cards as payment. The night before your appointment, do not feed your pet after midnight the night before surgery; water is okay. Do not feed your pet breakfast the morning of their surgery. This does not apply to rabbits, please continue to feed them normally until they are brought in for surgery. All dogs MUST be on a leash or in a pet carrier. All cats must arrive in a carrier or trap. Domestic cats can arrive in the same carrier, but ALL cats must leave in separate carriers. We have cardboard carriers available for $5 if needed. An intake form and surgery release must be completed the morning of your pet’s surgery. One per pet must be filled out. These can be found below or you will be given these forms the morning of your appointment. Disclaimer: Spay Memphis reserves the right to refuse service to anyone arriving after our check-in time of 7:30-8:30 a.m. and arriving after the clinic’s check-in time may forfeit your appointment slot. Pick-up is same day, between 4:30 p.m and 5:00 p.m. Please be on time. A $20 late fee will be charged for all pets still in the clinic after 5:00 p.m. If you do not pick your pet up by 5:15 p.m., your pet will be transported to the Animal Emergency Center on Summer Avenue, where your pet will be boarded at your expense. Spay Memphis does offer re-checks after surgery for any issues related to your pet’s spay or neuter surgery. Re-checks can come in Tuesday – Friday, 9:00am – 3:00pm. We ask you call our clinic first, if possible. While the re-check is free, you may be charged for extra medication if our veterinarian feels it is necessary. You will receive a copy of the post-op instructions on your appointment day. These are also available below for your convenience.